This is a 37x41mm. 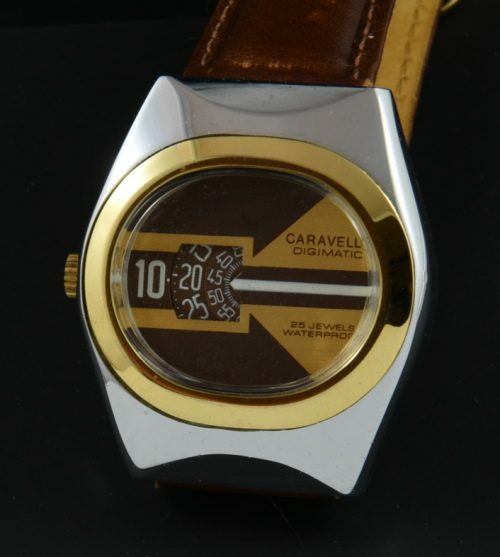 Caravelle Digimatic configured for left handers (with the crown on the left). The automatic movement was cleaned and is accurate. 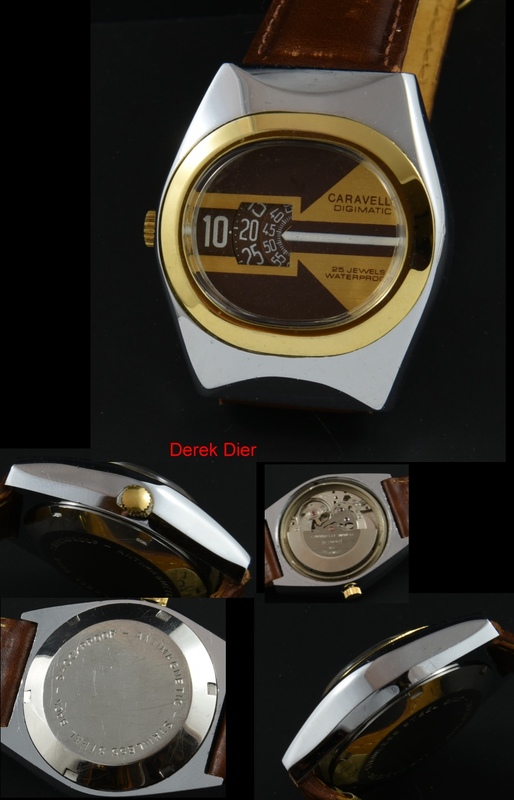 The steel case with screw back displays very good overall condition. The funky original dial will draw many eyes!